WIPE YOUR PAWS WELCOME MAT by Summerfield Terrace home decor, jewelry, decor, decorations, electronics, fountains, floor mats, art glass, vases, garden essentials, fireplace screens. If you love your pets, show it with this darling welcome mat! 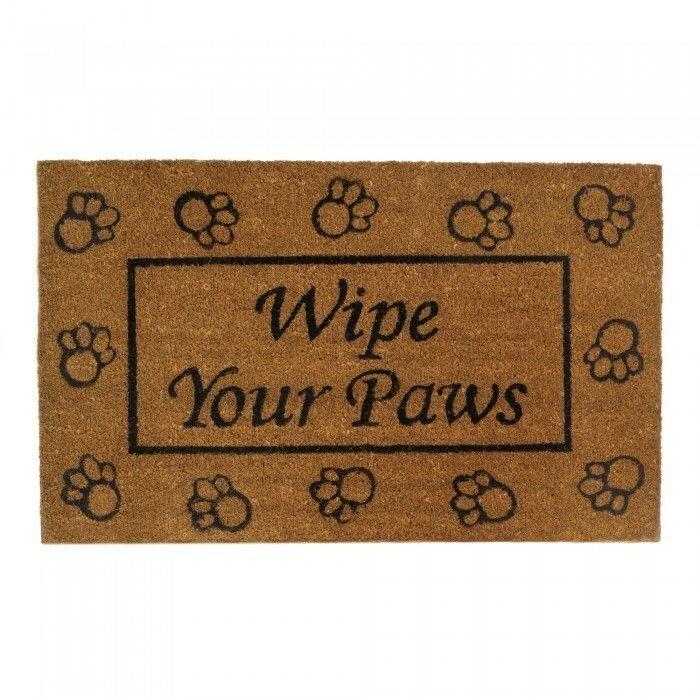 Visitors will smile when they reach your doorstep and are whimsically reminded to "wipe your paws!" Material(s): RUBBER COIR. Weight 4.6 pounds. Dimensions 30" x 18" x 0.88".